Description: Black & white photographic postcard featuring the General Electric manufacturing plant on Mechanic Street, Windsor, CT. This image of the industrial building still has the sign from the former owner, the Eddy Electric Manufacturing Co., mounted on the roof. 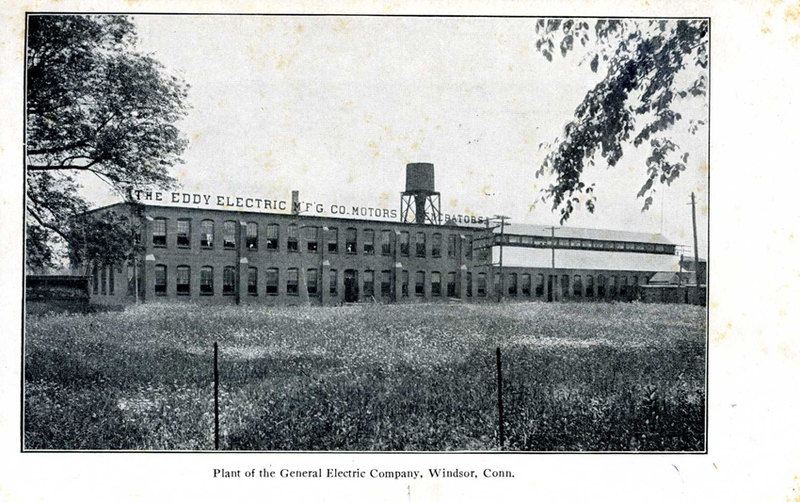 General Electric used the building from about 1900 until 1928. Starting in 1928 the building was used as a tobacco warehouse and more recently was converted into condominiums.